Ugly is the new Beautiful! Yeah; remember, “Orange is New Black?” Well, it seems the latest craze is ugly, and unattractive is the latest fad, so much so, that people think it is beautiful or inspires beauty. It doesn’t. In this online (and outside or real-life) American society, I’ve noticed women and girls are dressing and making themselves up to appear much more unattractive than they would be. From what I understand of what they say, this is to repel men, as they believe that ALL men are terrible beings, akin to and no better than wild (prey and pack or herd) animals. This idea of dressing ugly seems to be inspired by feminists of yore, but, these, “new feminists”, seem to be missing the whole point. We did not stand up for women in order to put down men. We did it to help ourselves and our families. There is no charm in the latest fad, kids. All the while, today’s young women (and girls) appear to be impressed with and by ugly design. Ugly colors we thought dead and buried, back in the seventies, are back, and they are IN like Flynn! The uglier it is, the more popular it is, today. It is, at this moment, a thing to laugh at, as is all art a thing to consider; it is not a thing to build, permanently. In a way it reminds me of these whole-body and/or facial tattoos, which most people regret, within in a few years. But, like tattoos, removal is going to be a lot more difficult than is the original placement. The whole, “I’m in your face so look at me”, ideology is one most people grow out of… This house will not grow with them. This home seems to be the perfect example of society’s ugly and how it’s been accepted (or how some people have been deluded into accepting it) by the up and coming generation. Music from Free Music Archive, Damiano Baldoni, “Celtic Warrior”, from Lost Dinasty. This is for enjoyment, and possibly to help people to see, and to think. I monetize no videos, and use music posts, for free. Please Help Our Friend, Snordster, Now. In case you have not yet heard, our old friend, Patrick, aka Snordster/Snordelhans (and you can tell how long I’ve listened to that golden throat by that admission..) has lost both his home and his studio in a housefire in S.Africa. He is at the age in which he should have retired and would be rocking back, on the porch, spying gazelles and ibis, but, as he and his wife lost everything, all must change. He needs us to help in this effort. I know that most of us live month-to-month, or hand-to-mouth, but if you can even donate a small amount, every bit is beneficial and I know he appreciates it. If you did not know, back in 1998, my kids and I also lost everything (except one-another), so we know how devastating fires can be. I cannot even imagine having to restart at the age of 63, though. Can you? Please watch and SHARE this video and do whatever you can do. You can make a PayPal donation to: Snordster@gmail.com, country: S. Africa. The rest will be in the video description, in YouTube. Even if you don’t know Snordster/Patrick, please help by sharing. Thank you! My Home Burned Down, Snordster. 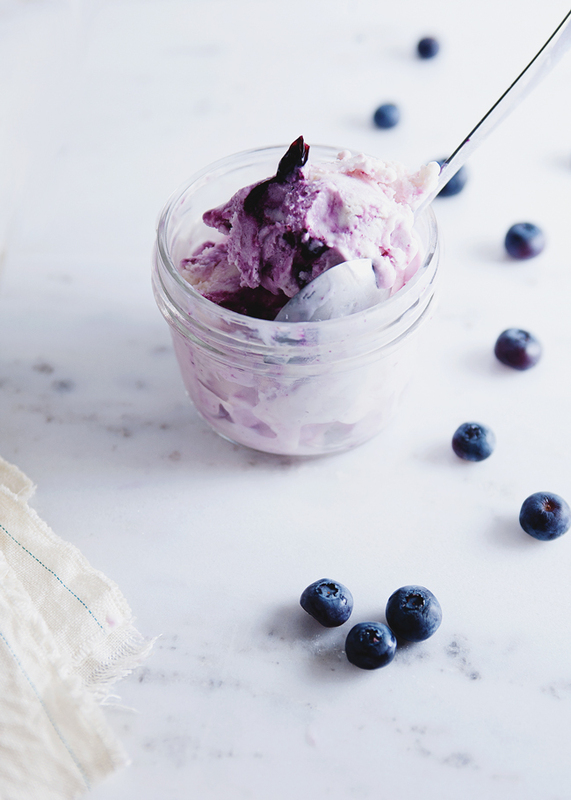 I love making (and eating) homemade ice-cream. This will be perfect with the year’s new crop of berries!